Gizmo pig escape is the new point and click escape free escape games from ajazgames. 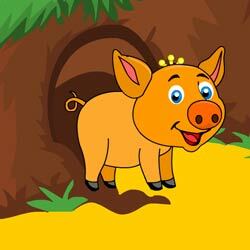 This cute pig named gizmo gets caught inside a cave, save this gizmo pig by finding the clues and solving the puzzles. All the best, wish you good luck, have fun playing free online escape games from ajazgames.